For about a year and a half now, I’ve been able to call myself a rower – after I was recruited the fall of my senior year, I took it up in March. 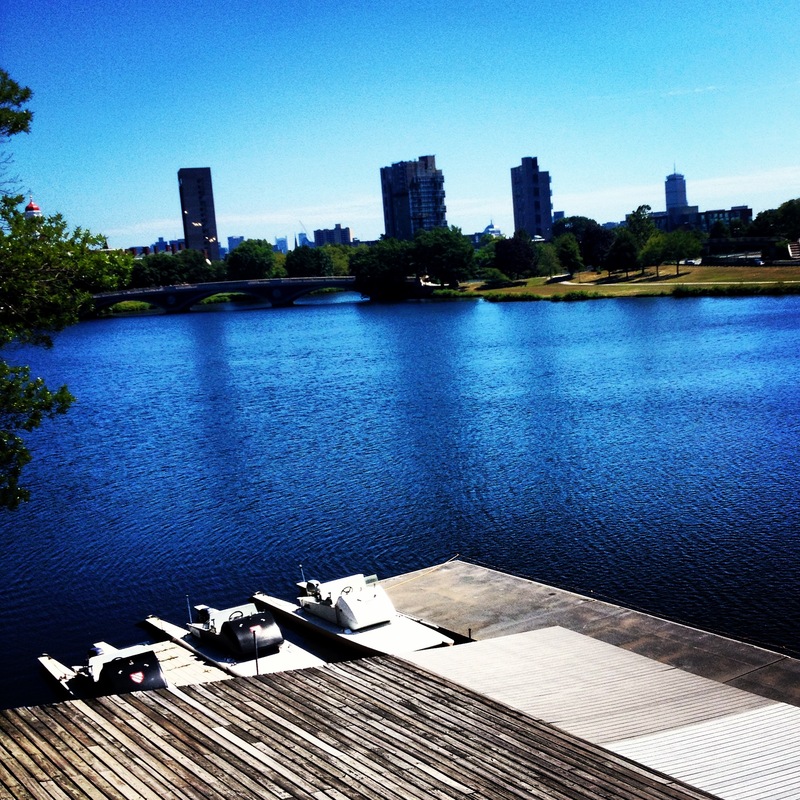 I currently row on Harvard’s Varsity Openweight Crew team – we call ourselves Harvard-Radcliffe Rowing. Throughout the year, I will update the YT community on racing and balancing rowing with triathlons – but I wanted to share some background information on the sport here first. “Erging”, as it is called, is a sort of a rowing-stimulating machine that rowers use to train. Besides being a great crew workout (and quite difficult), it is also a superb triathlon cross-training tool. Unlike running, erging has less of a striking impact (For example, I was able to start erging at a fast pace almost immediately after Ironman, whereas I had to wait a week or so to run and am still not back to 100% speed a few weeks later). It has a completely different feel – one that can only be experienced through trying it for yourself! There are ergs available at most local gyms – and local boathouses and rowing clubs may also give you access. If you find yourself enjoying (er… liking the burn?) erging, you can always buy one for your home (used ones are not too expensive). I’m not the only triathlete-turned-rower – in fact, YoungTri Member Andrew Gyenis spoke about his transition into the sport (he rows at Stanford) as a triathlete in a YoungTri interview. Click here to view it. Proper erging technique is vital to a successful workout. It took me awhile to get the hang of it (and I’m still improving! ), but good technique on the erg makes a huge difference. See below for proper technique. Below isn’t my erg screen or a screenshot from my workouts (I think my coaches would NOT be too happy about a 2:41 average 500m, haha), but this is what an erg screen looks like! 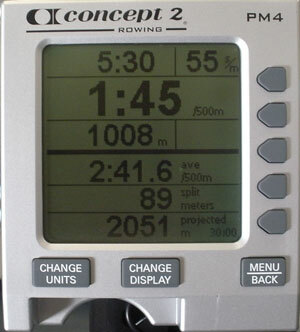 Sample of an erg screen (not mine)! For a beginner, I would recommend going at a steady pace for 10-20 minutes (after watching the technique videos) to get the hang of things. If you feel like you’re getting the hang of it, do some intervals – the erg allows you to input workouts by time and distance – but you can also do what’s called a “power 10” and take 10 powerful sprint strokes during your workout to speed things up a bit. In the upper right hang corner is the strokes per minute – for your first workout, keep this at a low-ish rate (18-24) – this means don’t rush your legs, and don’t slide up and down the seat too quickly! The machine also calculates spits per 500 meters – which depending on your speed could take anywhere from around 1:30 to 3 minutes (for an average new rower casually cross-training, mid two minutes is a good benchmark). 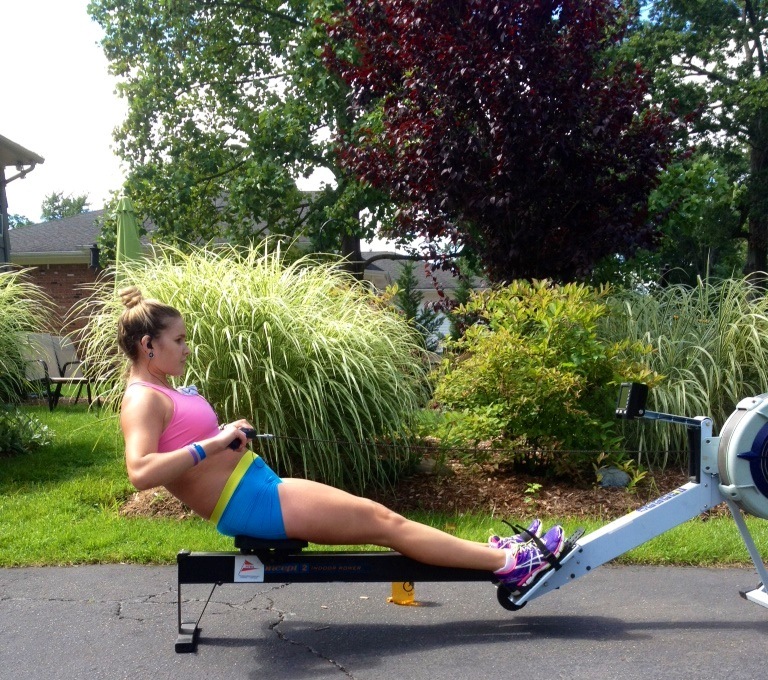 I like to bring my erg outside sometimes when I’m training at home – it makes the workouts a lot more fun! This coming week when you’re looking for something to on an “active recovery day” or want to fully challenge yourself to take on a cross training workout, try erging! Start slow and build your way up – with 10 or 20 minutes initially – with a goal of working up to a 5 or 10k! Challenge yourself with “power 10s” and sprint intervals. Stay tuned for more information and workouts relating to erging and rowing soon – and happy cross training! 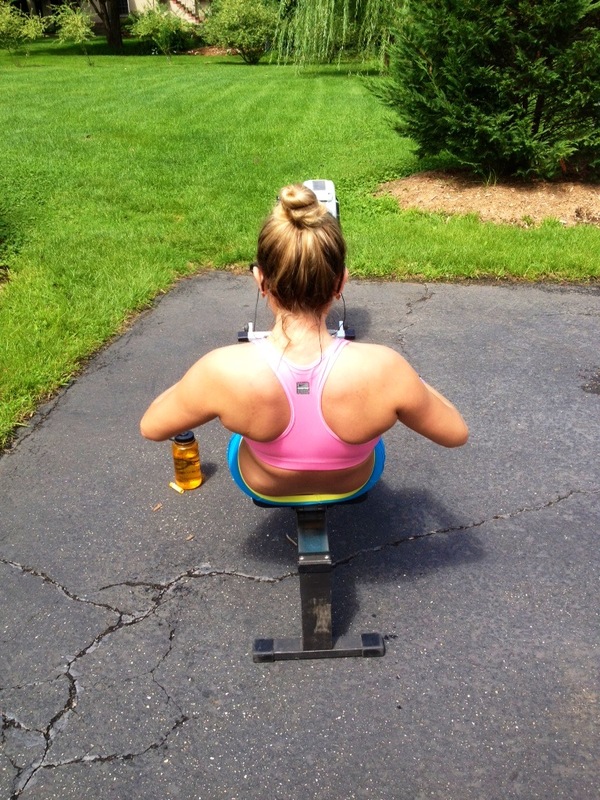 Do you row or erg as a form of cross training for triathlons? Or are you a rower who does triathlons on the side? Let us know! Email info@youngtri.com about your rowing/triathlon experiences. If you aren’t, would you ever consider trying the sport?